I moved to a new place a couple of weeks ago, and I’ve been focusing my nesting efforts so far on that most important of living spaces: the reading nook. My work is almost complete, except for one thing. My comfy reading chair is currently accentuated by a small, hard pillow in a scratchy beaded cover. 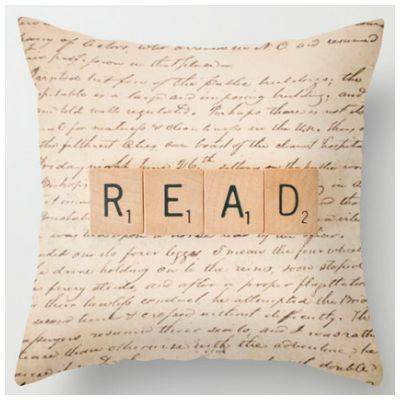 Obviously I need the perfect bookish throw pillow to complete my personal bookish oasis. Let the hunt begin. This ridiculously amazing pillow proclaims itself to be woven Belgian jacquard. I don’t know what that means, but it sounds fancy. 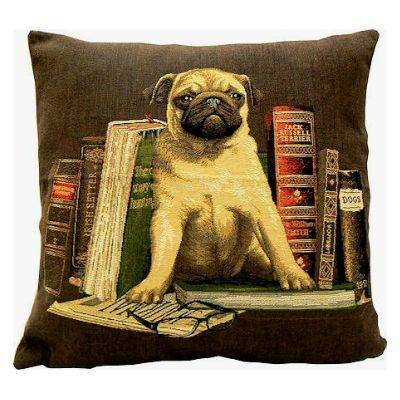 And: it’s a bookshelf pug! I’m not reeeeeeally a dog person – they make me sneeze – but this pillow is fantastic. He’s so regal. And it looks like he wears reading glasses. See, by his right paw? This pillow keeps things simple. If I weren’t looking to add some pizzazz to a beige chair, this would be the winner. 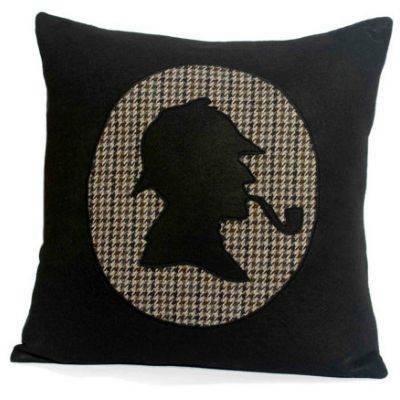 This Sherlock Holmes pillow is refined, bookish, and would probably make you smarter. I don’t think it’s right for my space, but it’s delightful in its own way. I love that the silhouette is in tweed. How great is this one? 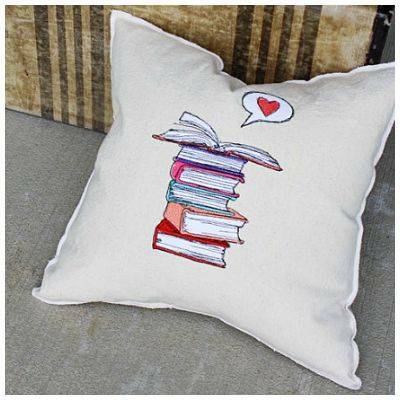 Because your books loooooooove you. Aww. A little boy reading a book on a striped background. 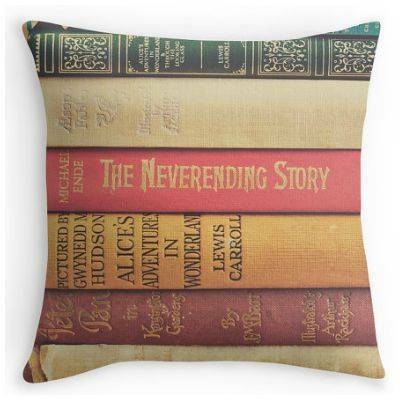 How perfect would this one be for a child’s reading nook? Amen, pillow. I want this on the cushioned window alcove of the sunny kitchen that I do not yet own in real life but visit frequently in my dreams. 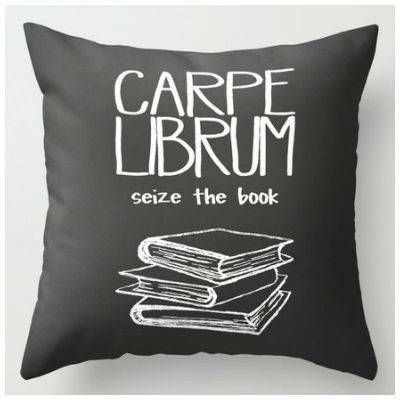 Carpe Librum! 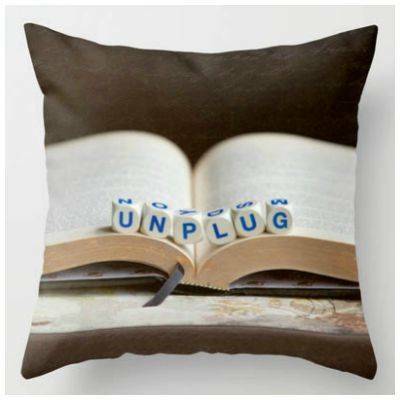 I kind of like the idea of a bookish throw pillow that orders me to get back to reading. Not that I usually need much encouragement…but still. You can never go wrong with a big ol’ stack of books. Much softer than actual books, too, for nestling purposes. Do you ever do that thing when you’re reading but you can’t resist the urge to keep checking your phone, even though you’re trying not to? 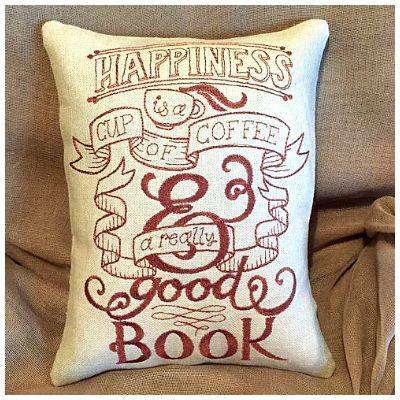 This pillow understands. This is my own current front runner. I love the bookish background, AND it’s colorful. Very key. 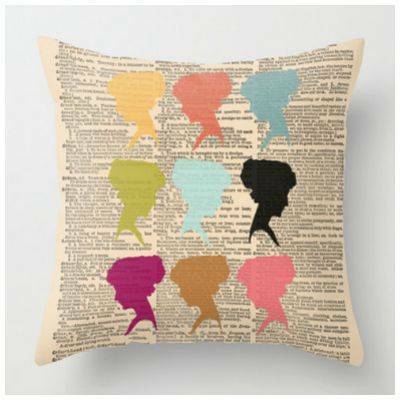 Which of bookish throw pillow would you choose? 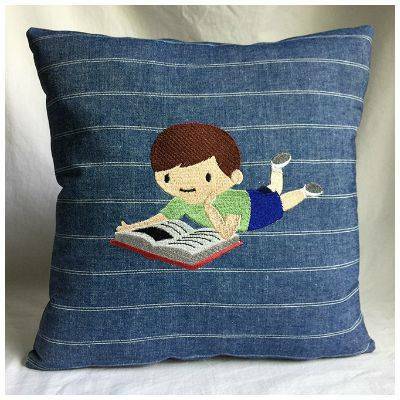 And does anyone have a really fantastic source for pillows that I should check out before I commit to my reading nook pillow? Drop your bookish home furnishing wisdom on me.